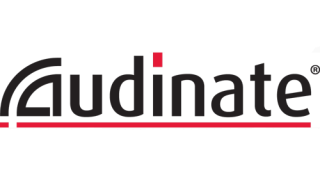 Audinate will run its Certification Program as part of this year’s Dante AV Networking World for ISE 2017. Now in its seventh year, AV Networking World is among the most popular education events at ISE, showcasing the benefits of audio networking for commercial installation. The program includes training for new and advanced Dante users, a general session covering emerging trends pertinent to the future of Audio over IP networking for professional audio systems, and Level 1 and Level 2 Dante Certification. The all-day event, which takes place on February 6 in rooms G104 and G105 at the Amsterdam RAI, will adopt the two-track format successfully introduced this past year at InfoComm, providing training and education benefits for both novices and experienced Dante customers. The free all-day conference will open with a general session for all attendees featuring the following presentations: Audio Networking Trends and Research, presented by Roland Hemming, RH Consulting; and Advanced Management of AV Networks by Aidan Williams, CTO, Audinate. Track 1 Program is designed for attendees that are new to Dante, and are looking for the basic foundation to get started. This track will feature Introduction to Dante, covering audio networking fundamentals, basic networking concepts, creating a small-scale Dante network, and using Dante Controller and Dante Virtual Soundcard; and Intermediate Dante Concepts, covering topics such as Dante redundancy, clocking, latency, and multicast. Track 2 Program is geared toward attendees already using Dante and looking to create more advanced systems and learn best practices. This track will feature Intermediate Dante Concepts, covering topics such as Dante redundancy, clocking, latency, and multicast; and Advanced Dante Workshop, an interactive session covering advanced networking concepts, mixed use networks, networking best practices, and troubleshooting techniques. Upon conclusion, all attendees are invited to reconvene in the sponsors’ demo area for a hosted reception with refreshments that will also provide access to Dante-enabled equipment from event sponsors. This year’s sponsors include Amphenol, AtteroTech, Audinate, Bosch, Bose, Clear-Com, Crest Audio, Extron, Luminex, Media Vision, Nexo, Peavey Commercial Audio, Powersoft Audio, RDL, Renkus-Heinz, Sennheiser, Shure, Stagetec, Stewart Audio, Symetrix, Tascam, Xilica Audio Design, and Yamaha Commercial Audio. Since the program also includes a catered lunch for all attendees, and seating is limited, interested attendees are encouraged to register immediately at www.audinate.com/ise17-avnw.